More than 100 people braved freezing temperatures to both listen and have their say in front of Ohio environmental officials at a recent hearing in Belmont County, Ohio. For the three dozen or so people who testified, the stakes were high. The hearing at Shadyside High School focused on a nearly 300-page, densely technical, draft air quality permit. The permit is one more step towards a massive, multi-billion dollar petrochemical plant proposed for the banks of the Ohio River just a few miles away from the auditorium. Like many at the hearing, Glenn Giffin, president of IBEW Local 141 in Wheeling, West Virginia, used his three minutes to voice a position not merely on the permit at hand, but what this facility could mean for the region. “It is a project such as this that will revitalize the Ohio Valley,” he said. 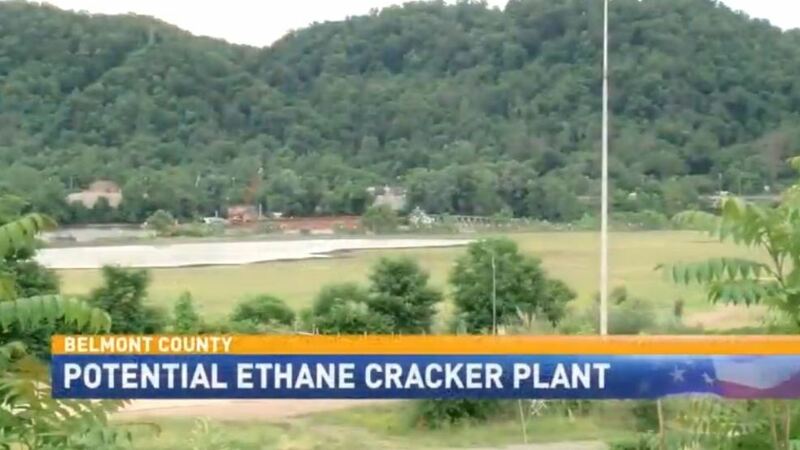 Giffin and other supporters see a potential economic boom in the plant, called an ethane “cracker.” Its natural gas furnaces literally crack apart ethane — which is brought up during natural gas fracking — into smaller molecules used in plastics and chemical manufacturing. But Belmont County resident Jill Hunkler sees this plant as the beginning of something else: an environmental nightmare. “We want better options than a massive petrochemical plant,” Hunkler told the audience. Officially, the hearing was about a permit. But everyone gathered understood that much more is at stake. The growing abundance of natural gas could fuel a new petrochemical industry in the upper Ohio Valley, with all the economic gains and environmental risks that might bring. The decision on the cracker plant permit presents a crossroads moment for those who live here.